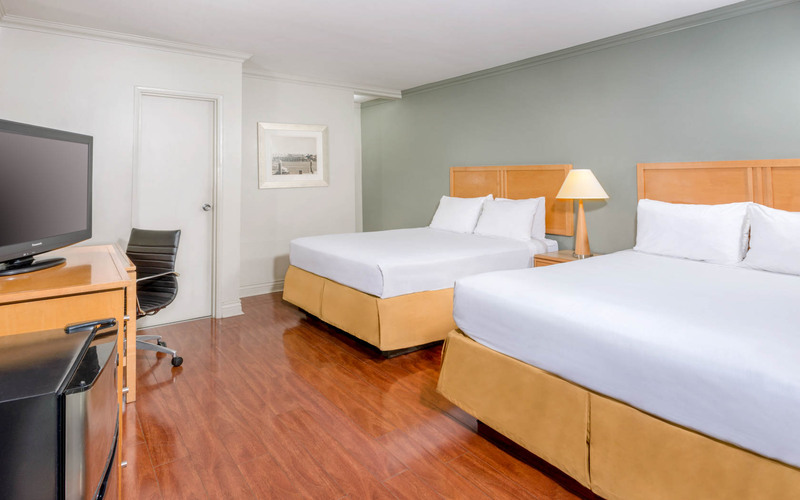 A Sound Night’s SleepSteps From Ventura Blvd. Experience a relaxing stay at a phenomenal value in the heart of LA. 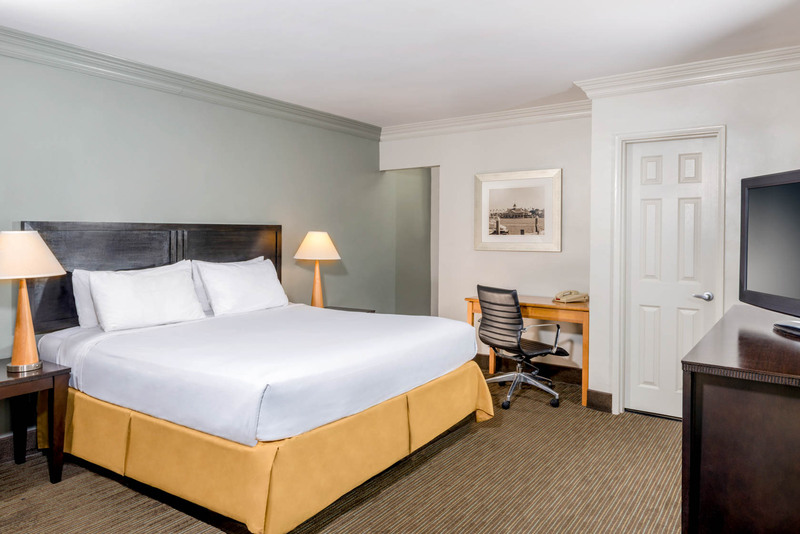 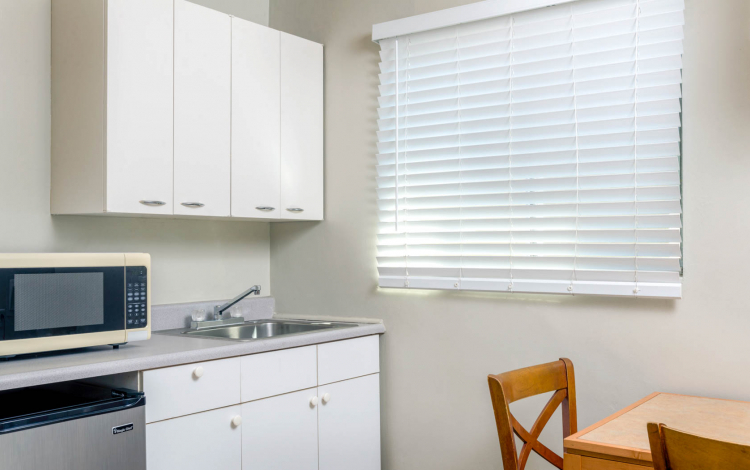 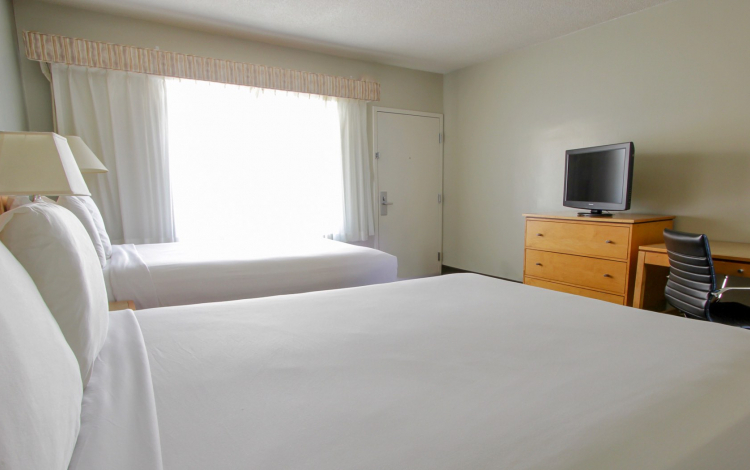 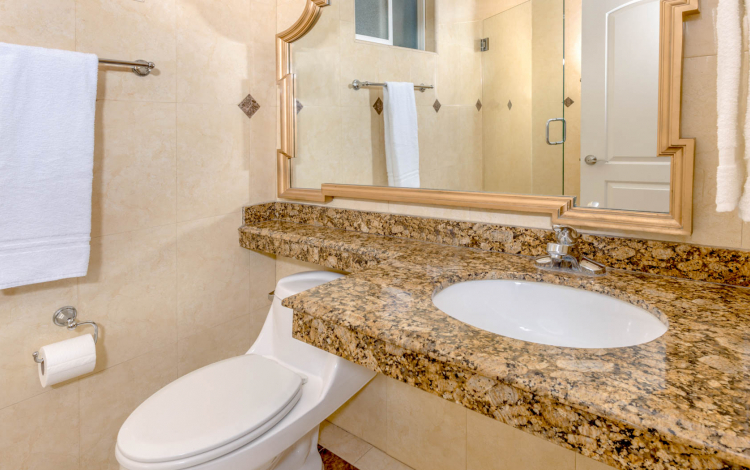 The Sherman Hotel features recently remodeled guest rooms and suites with thoughtful amenities and modern decor, just steps from Ventura Boulevard and all the top attractions in town. 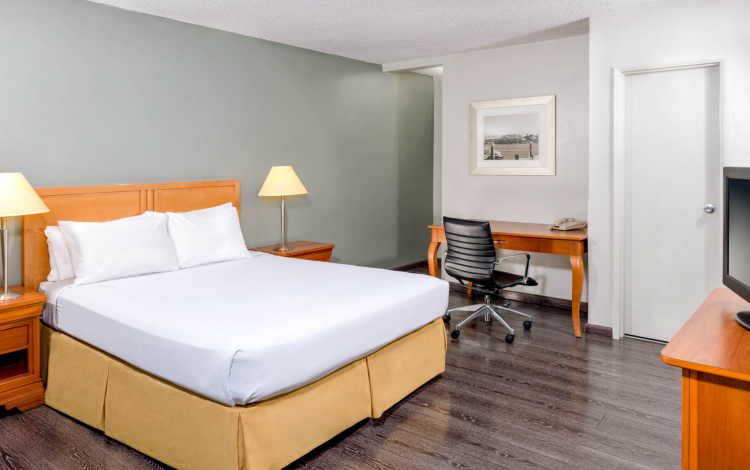 Our standard King Rooms include free Wi-Fi, HDTV and cozy workstations with ergonomic chairs to keep you going strong. Our standard Queen Rooms come complete with two heavenly queen beds, plush pillows, fine linens, and walk-in shower with aromatic bath amenities. Our spacious Junior Suites feature one queen bed and modern amenities including a kitchenette with mini fridge, microwave and iron/ironing board. Our mobility accessible ADA King Bedroom features one king bed and accessible guest bathroom with 36' wide entrance, roll in shower, grab bars and adjustable handheld shower nozzle. A shower chair available at the front desk upon request.